Gorgeous, pale sky-blue, 4" globes have darker mid veins. Carefree and rewarding! 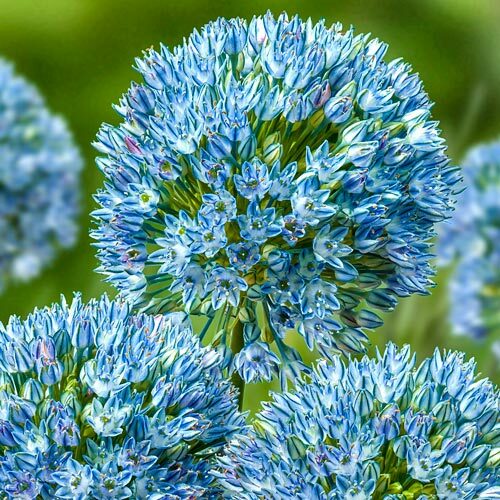 Alliums offer a wide diversity of color, height, and blooming times. They will tolerate poor garden soil; once established, they will naturalize easily. Alliums are deer resistant and make excellent cut flowers. Not available in ID,WA. Plant 4" deep and 4" apart in any well-drained soil in full shade.